We know and regard Roger Federer as the greatest player of all time on the court. We also look to him as the ambassador and role model for the sport of tennis. Off the court, he has created a legacy of charitable efforts thru the Roger Federer Foundation. The latest chapter is a new school project in Malawi with the purpose of educating 54,000 poor children to go to school over the next ten years. The funding of the project totals $3.3 million and is to be set up with the Malwai division of the humanitarian organization Action Aid. The plans are to build 80 centers for poor children aged from three to five in six of the country’s twenty-eight districts. 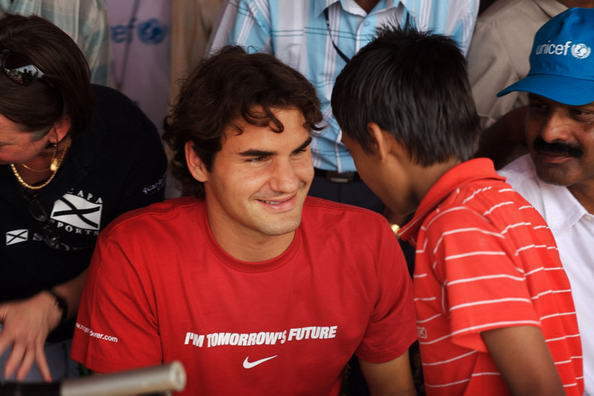 For more details read the page for Malawi at the Roger Federer Foundation. For more on ActionAid, visit actionaid.org. The Roger Federer Foundation, a charitable organization established in 2003, currently supports projects to improve access to education and sports for almost 20,000 children in Malawi, Ethiopia, Tanzania, South Africa, Zimbabwe, and Switzerland. Keep visiting FedererFan07 for easy reading of all things Federer. Browse the latest photos at FedererFan07 on Facebook. Get instant updates by following FedererFan07 on Twitter.